Principal cast: Edward Chapman (“Captain” Boyle), Sara Allgood (Mrs. “Juno” Boyle), John Laurie (Johnny Boyle), Kathleen O’Regan (Mary Boyle), Sidney Morgan (“Joxer” Daly), Maire O’Neill (Maisie Madigan). “Opening up” a stage play: In the years and decades after making this film, Alfred Hitchcock would express some regret in not finding ways to make the film more cinematic. The truth is that he imbued several scenes with his unique style, without at all sacrificing the tone or dialogue of the original stage play. The entire three-act play was all set inside the apartment of the Boyle family. Hitchcock convinced playwright Sean O’Casey that the film should begin outside the Boyle flat, then move into the flat after the opening scenes. 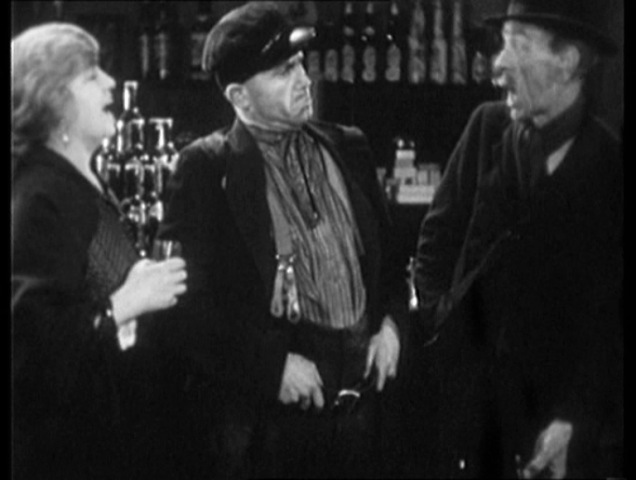 O’Casey was ultimately sold on Hitchcock’s idea, and wrote a new original scene for the film’s opening. The movie opens with a very Hitchcockian shot. 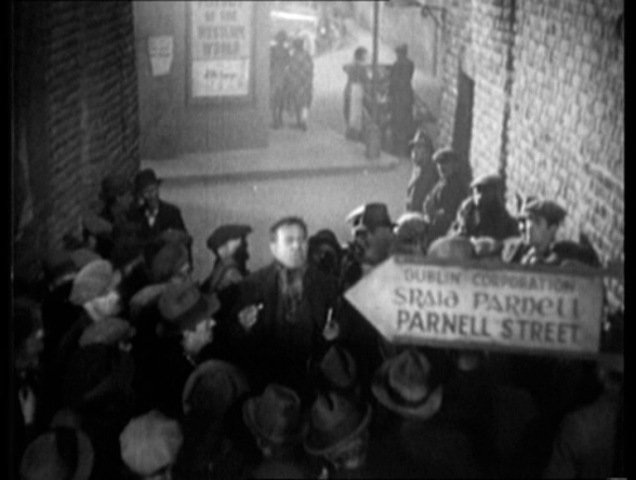 The camera begins on an orator (played by Barry Fitzgerald) surrounded by a crowd. The camera then pulls back and up, to reveal the alleyway where the men are gathered. The dialogue and the visual combine to set the scene. We are in Dublin, during “the troubles.” The Civil War of the early 1920’s, when many in Ireland were clamoring for independence. From here we cut to the interior of a bar. We meet the patriarch of the Boyle family here, with his drinking companion Joxer. Soon the two men head to Boyle’s tenement flat, where most of the movie will be set. Here we meet the family. Boyle does not work, and hasn’t for some time. He is capable of working, but feigns a leg injury, spending his days drinking and pontificating. His son (played hauntingly by John Laurie) lost an arm in the war, and is now a shell of himself, frightened of the very shadows. Boyle’s wife Juno is the clear leader of the family, doing her best to hold them all together, although they are one step from being homeless. The Boyle’s bicker back and forth, with an easy banter that leads one to believe they have gone on like this for years. The Boyle’s daughter Mary comes home with a solicitor named Bentham. Mary is clearly enamored of this man, and he brings good news from the family. A distant relative of Mr. Boyle’s has died, leaving him an inheritance of 2,000 pounds. When we next cut to the Boyle flat, things have changed mightily. Although they have not yet received the bequeathed money, they have borrowed heavily against its eventual arrival, with new furniture, new clothes and extravagances like a phonograph. The challenges of sound: Although things are looking up for the Boyle family, we are soon reminded that the sorrows of war continue, and we receive a foreshadowing of events to come. The son of an older lady who lives upstairs is murdered, and she goes off to the funeral. It was interesting the trouble one went to for sound at that time. You see, you couldn’t add it later–it had to be done at the same time and balanced on the stage. I remember one shot in this very tiny studio–a close-up of the son huddled beside the fire–and I wanted to dolly in. The camera was encased in what looked like a telephone booth in those days, for reasons of soundproofing. So I had this booth on a dolly. The offstage sounds were the family talking in the room–they’d bought a phonograph and they were playing a tune called “If You’re Irish, Come into the Parlor.” Suddenly they stopped because the funeral was going by and then there was a rattle of machine-gun fire. All those sounds had to be recorded at the same time, so the studio was packed. 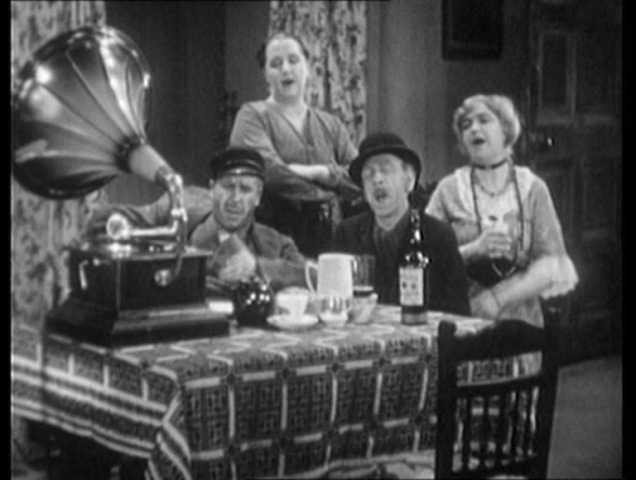 There was a small orchestra, and i had the prop man sing the song holding his nose so that you got a tinny effect as on an old phonography record. There were the actors with their lines. Then, on the other side, I had a choir of about twenty people for the funeral, and another man with the machine-gun effect. We could barely move in that little studio for all those off-scene sound effects on just one close-up. One would never know from watching this scene the incredible planning that went into pulling it off, but is demonstrates Hitchcock’s ability to innovate, to use the new sound medium to the fullest. Johnny becomes very distraught, and is concerned that the light in front of his Virgin Mary icon does not go out. A Hitchcock tragedy: This movie may have the most purely tragic ending of all of Hitchcock’s films. The final act involves three blows that strike the Boyle family render the family ties forever. The first is the discovery that the inheritance is not to be. The will was not filled out properly, and all of the things the family had borrowed on credit are repossessed. We then learn that Mary is pregnant by Bentham, who has fled the scene and left her alone. 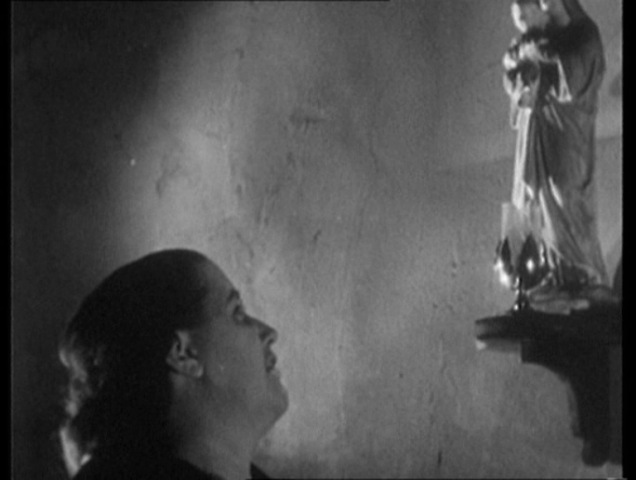 Despite Hitchcock’s insistence that he did not add cinematic touches to this film, there are several in the final act. Mary meets her old beau Jerry, who is willing to forgive her dalliance and take her back. Until he learns that she is pregnant; at that point he sheepishly beats a retreat. Hitchcock chose to shoot this scene in an uninterrupted close-up two shot, which heightens the emotion of the very touching scene. The finally tragedy is the greatest to befall the family, as Johnny is taken by force from the flat by a couple of old associates, who believe he left a comrade to die. 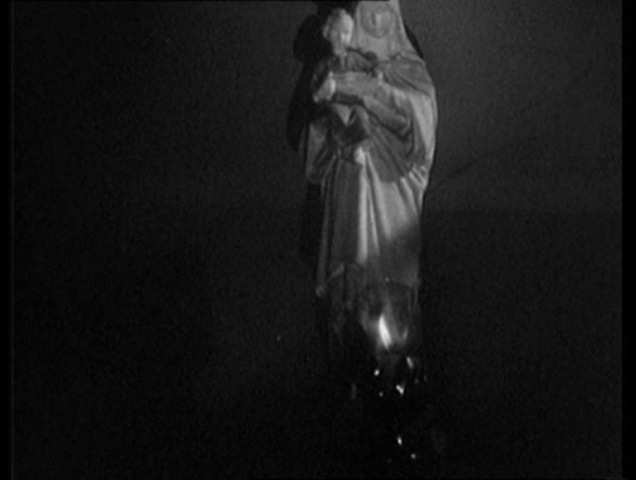 Johnny himself is soon killed, and Hitchcock shows the moment in a very cinematic (and very Catholic) way; as the votive candle in front of Johnny’s statue is extinguished, we know he is dead. Finally Juno tells Mary that they will depart together; she is finished with “Captain” Boyle and will leave him for good. 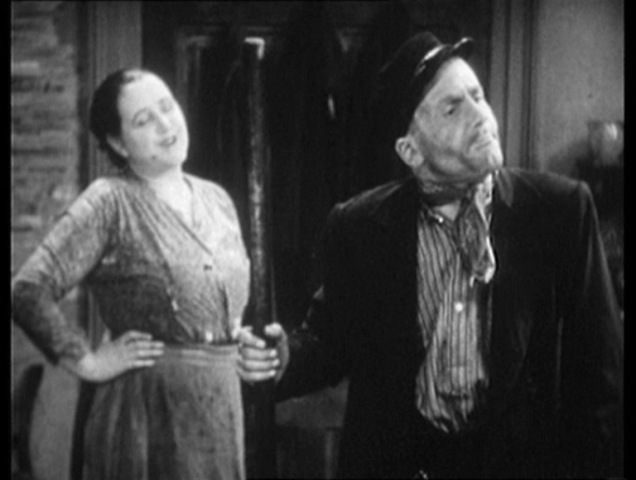 Whereas the play ends with a short scene of Boyle and Joxer, Hitchcock chose quite rightly to end on Juno. Juno, left alone at the end, leaves the audience with a final, moving soliloquy. 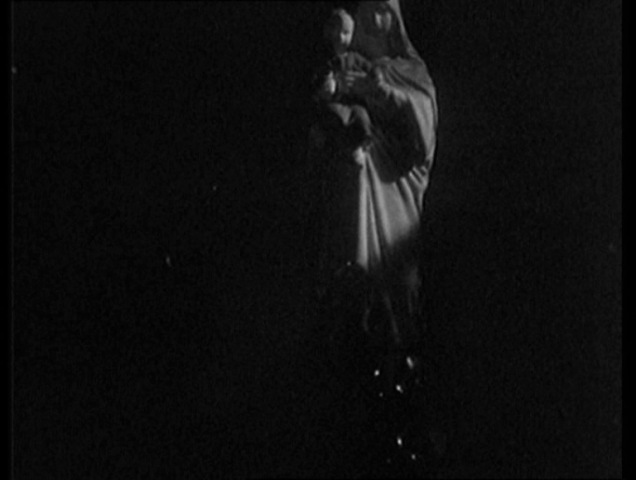 First she goes to the statue of Mary on the hearth, asking “Where were you when my son was riddled with bullets?” Finally she offers a prayer that hearts of stone may become hearts of flesh, and the movie ends with this elegy on her son’s passing, and the futility of conflict in general. Performance: Most of the actors in this film were from the Irish Players theatre company, and many had appeared in the play on stage. So clearly they were familiar with the material. However, this was made at the beginning of the sound era, so speaking on camera was a novelty for all involved. The performances are all solid throughout. It really has the feel of a “filmed play” with the exception of a couple of sequences, and is acted accordingly. Special mention goes to Sara Allgood as Mrs. Boyle; she is the heart and soul of the picture, and she is unforgettable in her role. 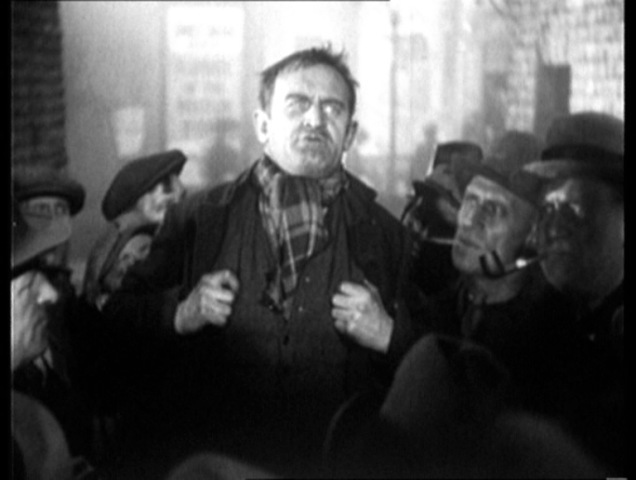 Source material: Hitchcock’s movie is based on the 1924 play by Sean O’Casey. The play is almost identical to the movie. Hitchcock changed almost nothing, probably because O’Casey got to approve any changes or alterations to his original dialogue. Hitchcock did excise a very small exchange between Boyle and Joxer which ends the original play. After Mrs. Boyle and Mary have left the home for good, a very drunk Boyle and Joxer enter. Boyle has the last word, lamenting the terrible state of affairs in the world. Hitchcock chose to end on Mrs. Boyle’s final monologue, which I find more fitting. Recurring players: Edward Chapman would later appear in Murder! (as Ted Markham) and The Skin Game (as Dawker). Sara Allgood had earlier appeared in Blackmail (Mrs. White. 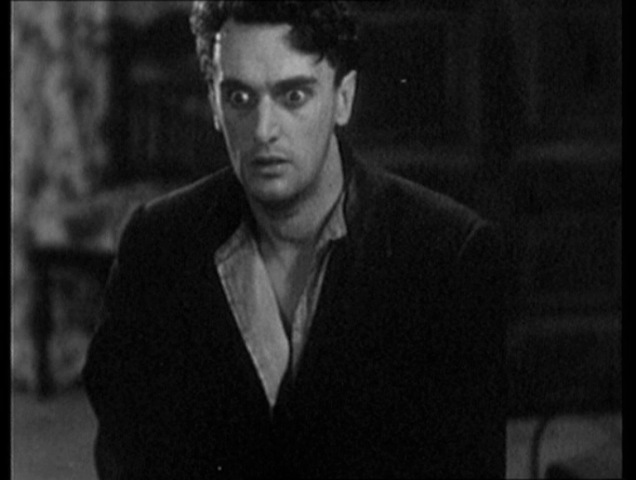 John Laurie would later play the part of the crofter in The 39 Steps. John Longden (Charles Bentham) had several other small supporting roles in Blackmail, The Skin Game, Young and Innocent and Jamaica Inn. Fred Schwartz (Mr. Kelly) would later play an uncredited role of a tailor in Sabotage. And Donald Calthrop (Needle Nugent) also played several other small roles in Blackmail, Murder! and Number Seventeen. Where’s Hitch? There is no Hitchcock cameo in this film. 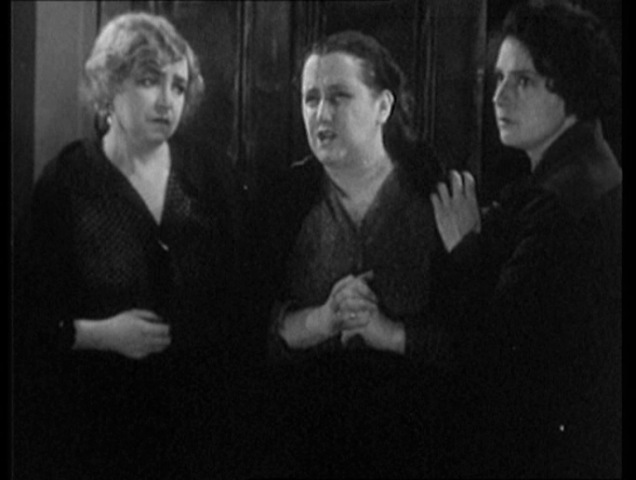 The Lodger is the only Hitchcock silent film with a known cameo. Because I liked the play very much. I think the picture’s all right, though personally it wasn’t my meat. But it was one of my favorite plays, so I thought I had to do it. It was just a photograph of a stage play. I wish I could have done something with it, but I truly believe that a theater piece is a theater piece–it’s designed and written with the proscenium arch in mind, and I think that opening it up becomes another thing. The film got very good notices, but I was actually ashamed, because it had nothing to do with cinema. The critics praised the picture, and I had the feeling I was dishonest, that I had stolen something. Definitive edition: I am hesitant to call any home version of this movie “definitive.” It has been in the public domain for a long time, and there are several different DVD versions available. The DVD I own was released by FilmRise in 2014. It is bare bones, no extra features whatsoever, with a (barely) watchable print. There is one section of the film where the print framing is a mess; the tops of the actors’ heads are cut off. The soundtrack is difficult to understand at times. My fingers are crossed that this movie will get a nice release some day. Other than that you’re usually spot on. Lastly, well done for sticking with it for so long; I look forward to your analyses of his remaining films! Thank you for your kind words, and for enlightening me on the “public domain” myth. I will have to make a correction to my reviews for a few of the early films.